Tania says: We're heading off for Italy this weekend and because both boys have special needs, we've always rented a villa with a pool and taken their Grandma and Nonno along to help out, so that we can all have a break without worrying about potential public meltdowns. But imagine if your child has a serious physical illness or disease that makes it difficult to go anywhere without a high level of medical support? Pressure on families like these can be immense and no one needs a break as much as them. Barretstown, based in Ireland, is a specially-designed camp that provides Therapeutic Recreation programmes for children with serious illnesses and their families. But to make it possible, the camp needs thousands of caring and energetic volunteers every year. My friend, Rob Pleticha, whose day job is Online Communities Manager for RareConnect at EURORDIS, the European rare diseases organisation, is one of them. He volunteers every year to help children who are living with illness or rare diseases. A short time ago, he spent a week at Barretstown and he's been kind enough to write for Special Needs Jungle about his experience and the camp. You arrive the night before the training. It’s dark but the trees are bright green, the horses are so comfortable, they lay down in the pasture sleeping, and the cabins spread thorough out the grounds emit a warm glow. You sleep well in the Irish night as fresh air fills you. 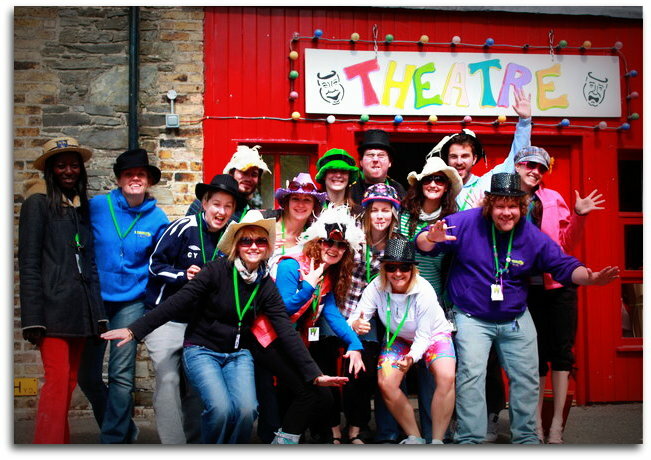 You've come to Barretstown in Ballymore Eustache, Ireland to participate as a volunteer “cara” at an eight-day camp summer session. 120 kids from 7 countries will arrive in two days. They all share the common experience of living with a serious medical condition at a young age. 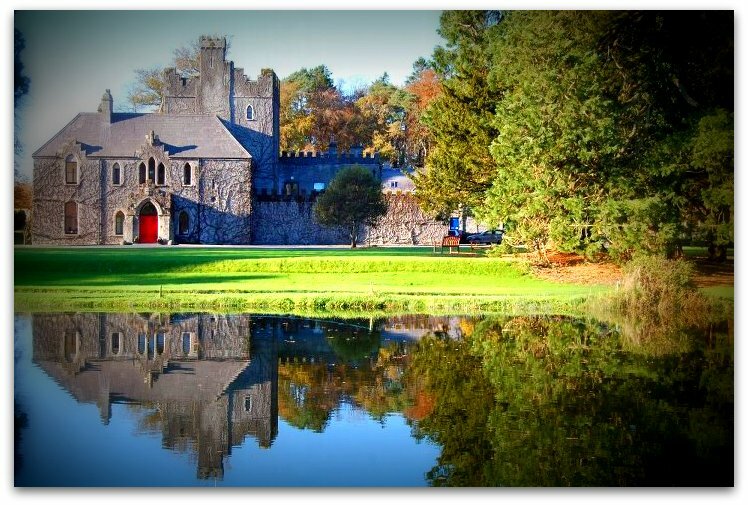 Barretstown is a member of the European Global Organisation of Serious Fun Children’s Network camps founded by Paul Newman. The five camps in the European network allow over 3,000 children from 26 countries to attend summer camp and have life changing experiences. The services are always free of charge to families. In addition to camps for young people, the Serious Fun Network also organises sibling camps, teen camps, family, and bereavement camps. It takes around 2,200 volunteers a year to support the core full time staff. Volunteers come from a variety of backgrounds including students, retirees, the local community, international visitors, and medical professionals. To find out more about volunteering at the Serious Fun camps visit their site. Before the campers arrive, there is a full day of training for all volunteers with the other volunteers. A full Irish breakfast starts the mornings off right. The overwhelming spirit is of support, preparation, curiosity and laughter. The day begins with a discussion about therapeutic recreation (TR),the core philosophy behind Barretstown's summer camp program. TR creates meaningful experiences for campers by giving individuals an opportunity to learn about themselves and their abilities from a variety of activities that challenge their perceptions of themselves and require new skills to be learned in a supportive environment. There are periods of reflection before bed and thorough out the day that gives campers a chance to integrate these experiences while building social bonds. The campers finally arrive. Everyone is excited, full of questions, and eager for the days ahead. The language barrier across the different nationalities melts away with volunteer translators and careful planning by the programme staff. Days go quickly and are structured with two activity periods in the morning and two in the afternoon with camp wide activities after dinner. 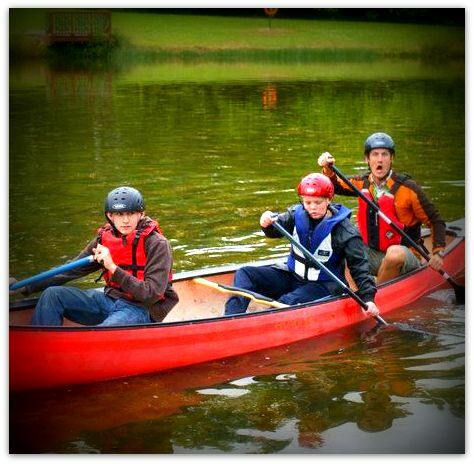 The vast selection includes: canoeing, fishing, arts and crafts, high ropes, horses, photography, theatre, and music. Simply, it is a place of first names, high fives, smiles, and encouragement. The doctor’s visits, difficult treatments, and discomfort at school are replaced with one thing: FUN. Fun and challenge is discovered by each individual in their own unique way. We all have different levels of comfort. Some of the most confidence developing experiences can be witnessed when the camper comes down from the High Ropes course or from the back of a gentle horse. Rebuilding is going on, and a volunteer is in a privileged situation to be a part of it. Why not consider contributing some of your time or energy to a TR program so young people with serious medical conditions can move beyond their perceived limitations with your help. EURORDIS, the European Organisation for Rare Diseases advocates for TR programs by offering employees free days out of office when volunteering at a Serious Fun network summer camp. Additionally, EURORDIS lobbies for TR programs to be included in National Plans for Rare Diseases while examining what TR programs exist, what their training needs are, and how to integrate rare diseases into social policies and services as a part of the EUCERD Joint Action Work package. To view the Serious Fun networks presentation from the ECRD2012, go here. For some studies on the benefits of therapeutic recreation, go here. Rob Pleticha worked as the Senior Online Communitites Manager at RareConnect, part of EURORDIS, the European Rare Diseases Organisation from 2010-2017. RareConnect provides many online social communities, established so that people across the world can communicate with others who have a similar rare disease. EURORDIS leads the flagship annual Rare Disease Day® campaign. Rob Pleticha worked as the Senior Online Communitites Manager at RareConnect, part of EURORDIS, the European Rare Diseases Organisation from 2010-2017. RareConnect provides many online social communities, established so that people across the world can communicate with others who have a similar rare disease. EURORDIS leads the flagship annual Rare Disease Day® campaign. Autism updates, SEN stories and happy holidays! This sounds wonderful! Maybe something my daughter would consider becoming involved in whilst at Uni.